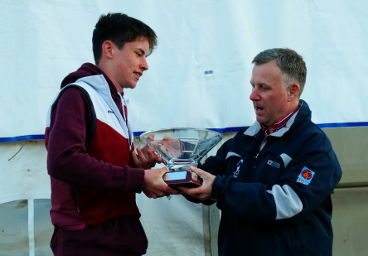 Coláiste Iognáid (Jes) Rowing Club fended off 71 other schools to be crowned the top overall school in Ireland at the Irish Schools Championships, held at O'Briensbridge, Limerick, on Sunday April 29. This title was richly deserved, following ten wins in a day of outstanding rowing, which brought the club's total number of wins in April (from the first 4 regattas of the season) to 32. A total of 42 gold medals were brought back to the Jes clubhouse after a long day of rowing, which stretched from the 2nd race of the day right up to the very last race, 11 hours later. Fittingly, this last race was an impressive win for the Jes u15 girls' coxed quad. Rowing conditions were difficult all day, with a strong head/cross wind that blew many crews out of their lanes (or into the bank), and chilled the spectators at the riverbank, despite the warmth of the sun. CIRC performed strongly across all age categories: u14, u15, u16, and u23 (instead of the usual u18 category so that any 6th year students, who were over 18 on Jan 1, would not be excluded). The Jes wins were also spread across both rowing disciplines: sculling (2 oars per person) and sweep rowing (1 oar per rower). The strength of the Jes' sweep rowing was highlighted by the double win by the boys U23 and U16 eights. 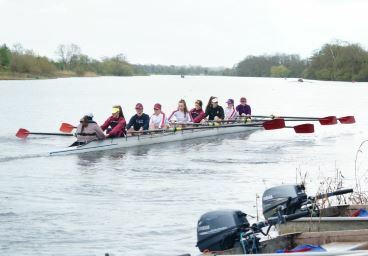 Unfortunately, a hotly-tipped Jes women's eight was unable to race that day as one of their crew badly injured her foot, only the day before, at the Limerick Regatta. MU23 8+ Paul Tannion (cox), Mark Ward (stroke), Oliver Kelly, Daragh Coen, Mark Ryder, Aaron Burke, Eamonn O'Tuathaill, Sam Reilly, Thomas Hume (bow). MJ16 8+ Paul Tannion (cox), Mark Ward (stroke), Oliver Kelly, Aaron Burke, Eamonn O'Tuathaill, Niall Cahalan, Ultan O'Toole, Alex Morales-Glynn, Gavin Dempsey (bow). MJ15 4X Tom Maye (stroke), Ultan O'Toole, Eamonn O'Tuathaill, Sam Ryan (bow). MJ142X Tom Maye and Felix O'Neill. WJ15 4X Rachel Dempsey (cox), Charlotte Conneely, Sarah Trench, Sadbh Mannion, Tara O'Neill. WJ14 4X Tara O'Neill, Rachel Dempsey, Sadbh Mannion, Pippa Gorey. 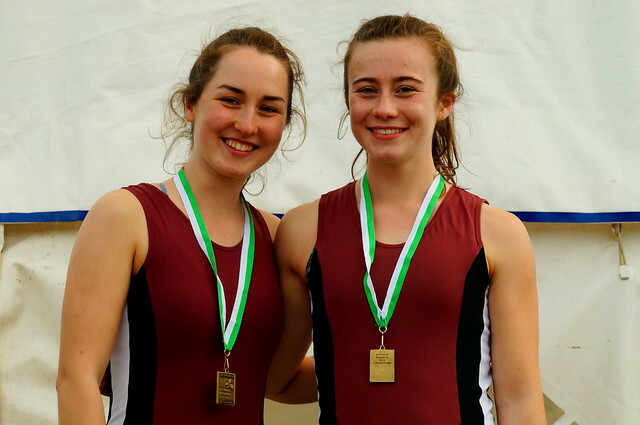 WJ14 2X Tara O'Neill and Rachel Dempsey. So a big congratulations to all of the CIRC rowers and also to their coaches, in particular those coaches who traveled to this event with the crews: Noel Hume (senior girls' coach), John Lawless (senior boys' coach), Redmond O'Brien and Brian Maye (2nd year coaches), Adam Burke and Robert McInerney (1st year boy's coaches) and Evan Molloy (club chairman and 1st year girls' coach).